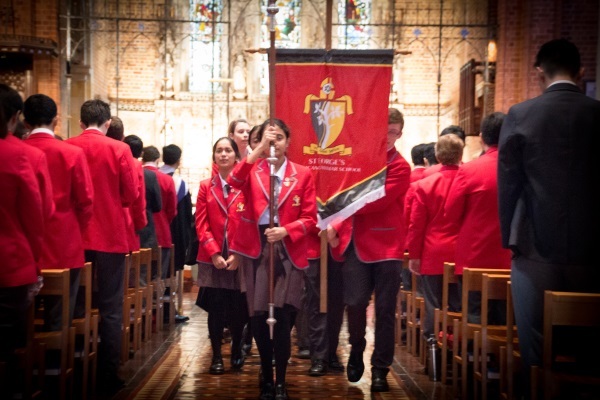 It was with great pride that the School celebrated our inaugural St George’s Day, on Monday 2 May at St George’s Cathedral. 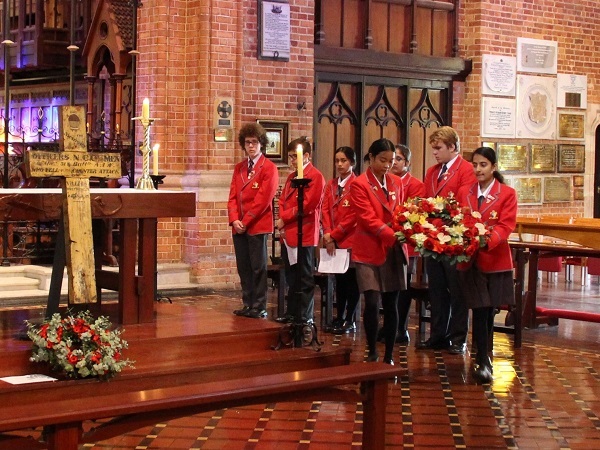 This was a wonderful celebration of the School’s founding and of our patron saint, St George. The Feast of St George is celebrated on 23 April each year. As this date generally falls during the school holidays, the School will celebrate St George’s Day on the first Monday of Term Two each year. As it was our first celebration of St George’s Day, the School has purchased a time capsule which is to be located in the Library on Level 4, to be opened in 2036. The annual NAPLAN testing of our Year 7 and 9 students took place during Week Three and we look forward to receiving the results later this year. I am very proud of our School’s sensible approach to the NAPLAN tests. We recognise that the real value of NAPLAN lies in the valuable feedback it provides to the School regarding our teaching programmes. From an individual student perspective, the tests reflect a ‘snapshot’ of their learning at a single point in time and are not a definitive measurement of their ability or potential. Our teachers do their best to ensure that NAPLAN testing does not become overly stressful for the students and that a sensible perspective is maintained. • Maintaining a balance between relaxation and study. • Eating plenty of fresh fruit, vegetables, cereals, grains, nuts and protein - they are all good for the brain and blood sugar levels. • Cutting back on coffee or other caffeine rich drinks. Drink lots of water instead. • Taking a break at mealtimes, rather than carrying on with study. We wish our students well as they prepare for their mid-year examinations. There were many tired, but happy faces when the buses returned to School from the school camps on Wednesday. Students in Years 7 – 9 went to Camp Mornington; Year 10s went to Woodman Point; Year 11s to Point Walter and Year 12s to Ern Halliday. The camps were all designed with specific outcomes and criteria in mind. By all accounts they were very successful with new friendships formed, memories created and an enjoyable time had by all. I would like to thank parents for their support of the camp programme. I am particularly grateful to our staff for giving their time to ensure that the camps are efficiently organised, safe and enjoyable for the students. A full report on the Camps will be available in the next Newsletter. Parents are reminded of the parenting seminar, ‘Peak Hour Parenting’ with Malcolm Dix on Tuesday 31 May 2016 at 7pm. Malcolm will be talking about the joys and challenges of dealing with teenagers in today’s technology obsessed world. All parents are invited to attend. Please RSVP for catering purposes to info@stgeorges.wa.edu.au. I look forward to seeing many of you at the seminar. Five intrepid student travellers left Australian shores on 6 April for an adventure on the St Mark’s and St George’s combined schools European Tour. The three week tour included many areas of interest including literature, culture, language, science, music, history, geography and sport. This broad palette meant that students were involved in many of their own interests, and had an opportunity to explore new fields. This tour was far more than cathedrals and castles! Please click here to read more! It was a wonderful sight to see all the School gathered in St George’s Cathedral for our Anzac Day commemoration, including the Last Post, Reveille and lowering and raising of the flags. This year was especially significant as we gathered in front of the Villers-Bretonneux Cross, which is an historical cross made in France in 1918 to commemorate the valour and courage of the West Australian 51st Battalion at the Battle of Villers-Bretonneux, that turned the tide of that war. One of the pictured wreaths was laid last Sunday by some of the descendants of soldiers from the 51st Battalion. The cross is kept in safe keeping in the Soldiers Chapel of St George’s Cathedral. The Dean of Perth, The Very Reverend Richard Pengelley kindly gave permission for it to be brought out to the main altar for our use during the Anzac Service. 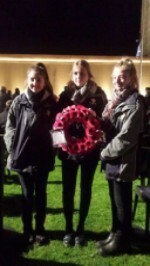 Some of our students were on a European visit and had the opportunity to lay a wreath at the Villers-Bretonneux site in France on Anzac Day (pictured alongside). 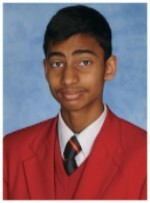 Milain Ranasinghe, Year 10, recently became the U17 Australian National Badminton Champion. This is a wonderful achievement. Well done Milain! If any other students aspire to be Badminton champions they should see Mr Ramirez about joining the School Badminton team. Teaching Physical Education (PE) to St George’s students is extremely rewarding. The level of involvement and participation is outstanding. Every student works to the best of their capabilities and is open to attempting new skills and sports. This has been particularly evident during PE lessons where we have been walking down to Langley Park and playing a modified version of touch rugby, known as League Tag. We have been developing our kicking skills, fitness and team work and the level of effort and enthusiasm has been most pleasing. The exceptional quality of “trying ones best” was highlighted in our second House carnival of the year: the Inter-House Cross Country Carnival. All students completed two circuits around the newly built Elizabeth Quay. What an amazing venue - another benefit of being located in the city and utilising the picturesque facilities at our doorstep. All students contributed to House points and congratulations go to Gandhi who was the overall House champion for 2016. The students listed here demonstrated exceptional running abilities and outstanding effort in their attitude and commitment at the event. These students and others went on to challenge themselves at the School Sport WA (SSWA) Inter-School Cross Country Championships, held on Friday 20th May at McGillivray Reserve. We were blessed with sunshine and perfect conditions which was very lucky as the next day Perth experienced a storm that brought phenomenal wind gusts and rain. Last year we had a small team of students competing on the day and this year we took a group of twenty six runners, which highlights the School’s growth and development. Students ran in age categories with distances ranging from three to six kilometres. The event attracts metropolitan and regional independent and government schools and is a massive event with well over one hundred competitors in each race. It is a great experience for our runners who learnt that running really is a personal challenge. There were some incredible individual efforts and moments of team support that made the day a memorable one. Year 8 student, Eliza Griffen, demonstrated that training and preparation really do pay off by recording an incredible third place position in the Girls 13 age category, earning herself a medal and a placement in the Western Australian State Team. She will be travelling to Canberra later this year to compete in the National Cross Country Championship. Year 7 student, Bernard Bolum, placed tenth in the Boys 13 age group. Congratulations to all our Cross Country Team representatives. It was a memorable day and you should all be very proud of the way in which you performed at the event! Please click here to see the team list. This year we have also seen the introduction of sporting teams playing weekly fixtures in the SSWA Basketball and Soccer competitions. We had a Senior Boys Basketball team who competed in a very strong competition against northern suburb schools. A huge thank you to Coach, Mr Peter Quan, for all his organisation and coaching expertise. Congratulations to the inaugural Basketball team! The Soccer team is still competing in their fixtures and have two games left against Shenton College and Perth Modern. Coach Yousri Gharsallah has exceptional knowledge and is working hard with the team. We have also had a junior and senior Netball team compete in a SSWA one day carnival at Kingsway Netball Centre. The girls played with tenacity and we look forward to more netball teams competing in future competitions. I look forward to continuing to build on this tremendous foundation for the St George's Sports Programme! St George's super soft embroidered winter scarves are on sale for $18 for the next 2 weeks only, sale finishes Friday 10 June. 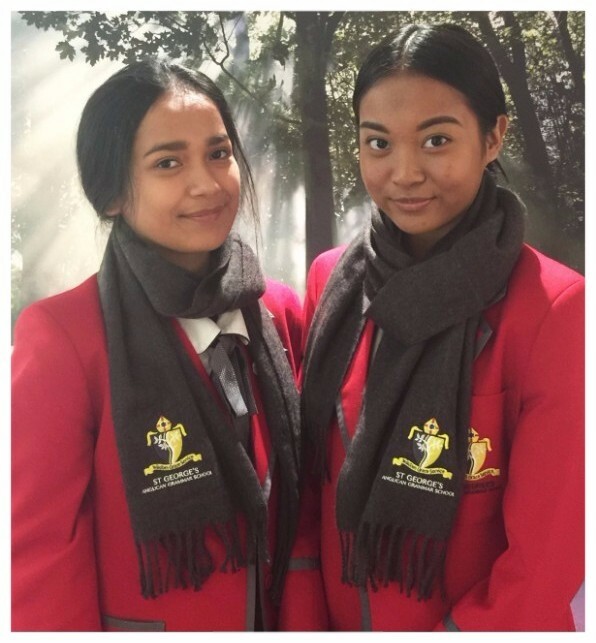 These scarves are the only scarves permitted to be worn by students. Purchases can be made from the Uniform Shop on Level One, 56 William Street or Student Reception on Ground Floor, 50 William Street. Please don't forget to RSVP for our Parenting Evening with Malcolm Dixon to info@stgeorges.wa.edu.au. We look forward to seeing you there! 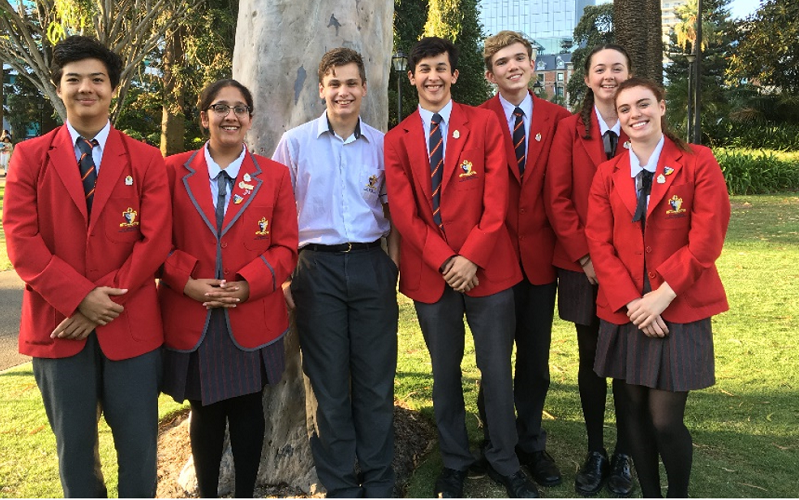 On Thursday 12 May, the St George’s Anglican Grammar Mock Trial Team competed in round 2 of the Mock Trial competition against a team from Carmel College. The team acted as the prosecution in a criminal matter where the defendant was charged with receiving stolen goods. The team had the onerous task of proving beyond a reasonable doubt that the accused knew that the property was obtained by means of an indictable offence (theft). The two barristers, Massimo McKie and Luke Thomas presented a very polished case to the judge. They were ably instructed and supported by their solicitor, James Hampson. Special mention must also go to Dheekshana Jagadish, a reserve for the round, who put in many hours of work to assist the barristers and solicitor prepare their case. The two witnesses, Emily Lennon and Trent Foo acted out their roles very well and stuck to their statements even throughout some very tough cross examination. In his role of Court Orderly, Dylan Hart did a fine job of ensuring that order was maintained in the court room at all times. The judge was full of praise for the St George’s team and in particular of the performance of Luke Thomas. He described Luke’s cross examination and closing address as “as good as it gets” and awarded him full marks for these sections. In the end the St George’s team were once again victorious winning the round with 155 points to 147. We now look forward to round 3 at the end of June where we hope to make it three out of three. The Church celebrated Pentecost this year on Sunday 15 May. This is the time of the year where we remember that Jesus did not leave us orphans after he died, but gave us someone to be with us always; to walk the journey of life with us. The first disciples who received the gift of the Holy Spirit were laughed at because they looked and acted different and because they had changed. People did not understand this, so they laughed at them. When I grew up the catch cry was, “The only two sure things in life are death and taxes”. Today, I think there has been a third one added to that list and that is change. Change is all around us; technology, jobs, and communication are all areas where change is almost a constant. One area that we often overlook is change within people. Yes, we may see our children grow physically and intellectually and expect that. We may expect growth around the girth and receding hair lines as we get older. A difficult area of change for people to come to terms with is in the area of a person’s beliefs and values. One may have experienced a person to hold a particular way of viewing the world; a particular set of values or beliefs. It can be hard to accept is that the person can change their point of view or appear to do a 180 degree back flip. People around that person, their family and friends usually struggle to accept such change and to allow the person space and opportunity to be something different from what they have always been. The reality is that we have a God who does change lives very dramatically. We can be heading off in one direction and then realise that we need to be heading in the opposite way. We need to learn to accept that people change in their views and their beliefs and that we should not keep them boxed, but allow people to grow and change in who they are as well as how they look. The people who saw the early disciples on the first day of Pentecost did not allow them to change, they laughed at them. I have experienced people who knew me many years ago who struggle to understand how my views and behaviour have changed. I hope and pray that we can all allow one another to grow and change without being boxed into a particular position because of past beliefs. St. George’s Music is in the running for a $1000 grant from BankWest towards the cost of our Numark NS7 Mkiii DJ Controller and protective casing. Vote for St. George’s here to help us win the grant (you’ll find us 4 rows down, 3 columns across!). Voting closes TODAY! 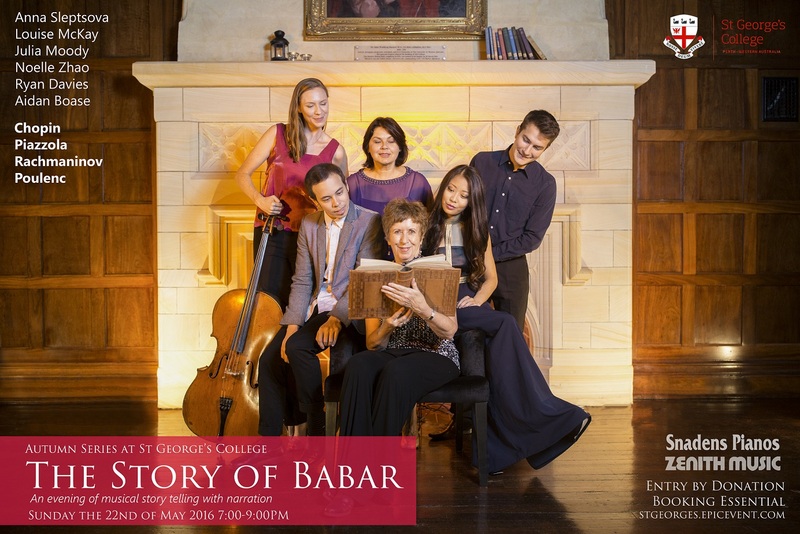 Read more news from St George's Music department here. 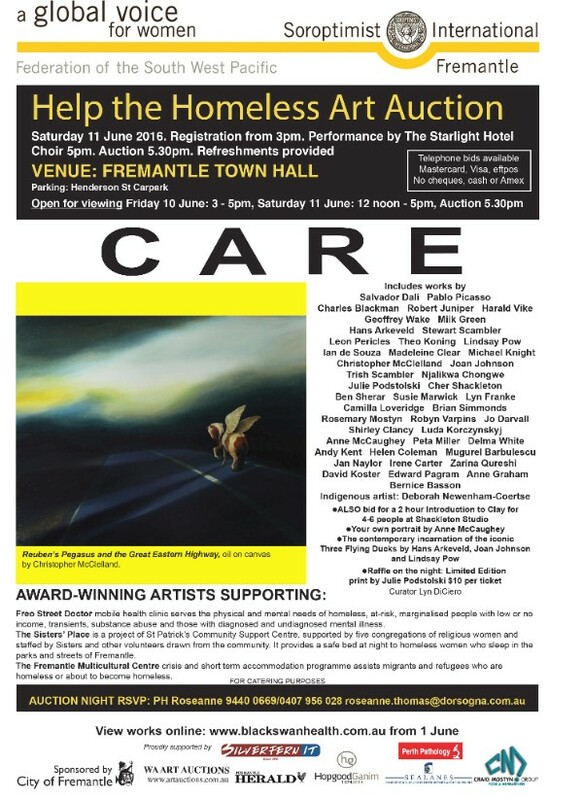 On Thursday the 12 May the upper school visual art students went to view two exhibitions at the Art Gallery of Western Australia: The Year 12 Perspectives Exhibition and Sacred and Profane. The Sacred and Profane exhibition comprises of three large scale works by international artists Jitish Kallat, Nalini Malani and Yang Zhichao. It is a special display of large scale installations that explore themes of belief, and the politics of freedom. The Year 12 Perspectives Exhibition is an annual event that showcases selected works from students graduating from Year 12 Visual Arts in the previous year. This year it comprised of 58 works by 57 students. In the 24th year the exhibition remains one of the most popular events on the Gallery’s calendar. The exhibition provides our students with a benchmark for excellence from Year 12 students across the state. In addition, it is a celebration of the role the arts play in the development of individual identity. The show also acts as a barometer of what our young people are experiencing, thinking and feeling. Students benefit greatly from seeing the work and all came away inspired by the excursion. Towards the end of Term One, we were very fortunate to welcome ten delightful Japanese high school students from Torei Gakuen Fujisawa. They came as part of a larger group who were hosted by other schools in the metropolitan area, but our group all commented on how fantastic their experience at St George’s was. This was mainly due to the overwhelming generosity of the host families who made them a part of their lives for the ten days they were here, showing them the sights around Perth and teaching them about their way of life. The students were given private English lessons every morning with their tutor Estie. They then participated in lessons with students learning Japanese or taking lessons in music, art, photography and PE. It is a credit to St George’s students that the Japanese boys settled into the school so quickly, as they were made to feel welcome from day one despite the language barrier. As part of the farewell party, the Japanese students performed a tea ceremony, taught us Japanese kid’s games and made home-made miso soup. They were sad to be going home and there were many tears shed, which is testament to how quickly they bonded with their host families. Being able to share your daily life with someone from another culture is amazing and really broadens one’s perspective on the world. I sincerely hope that more of our students will get to experience this during their high school years.